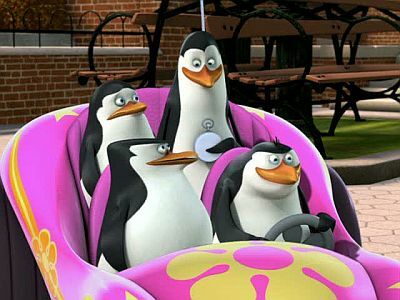 Skipper, Kowalski, Private, and Rico are all having fun today driving around the zoo in their small pink car, but trouble starts when King Julien wants to drive a car too, he gets jealous which results in a race to see who's better. 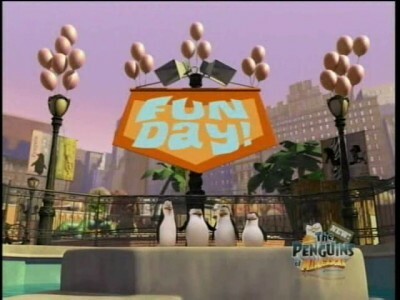 When the penguins bring Marlene with them on a sno-cone mission in the park, she can't handle the freedom of being outside the zoo walls. 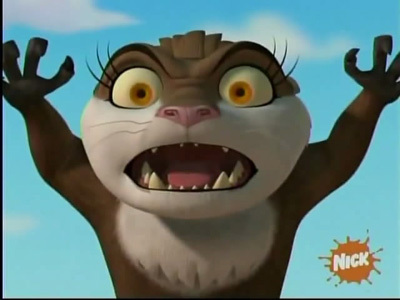 Skipper and his team must capture the crazed Marlene before she goes permanently wild. 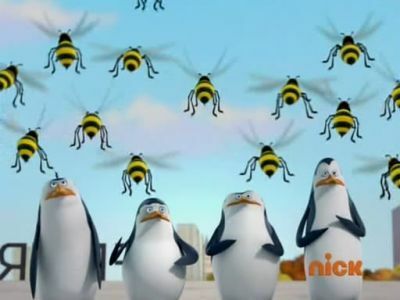 When the zoo is affected by a blackout, the penguins know how to fix the situation, but Julien tries to take over. 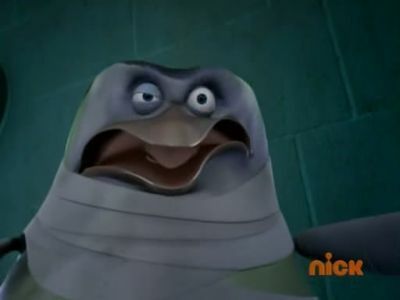 The penguins mistakenly believe that Skipper is a zombie after breaking his wing. Skipper runs from the zoo veterinarian in order to avoid getting a shot. 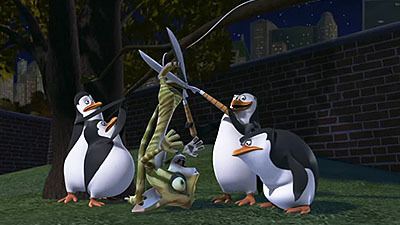 The penguins try to force him to do it, but Skipper seems to escape and avoid all they throw at him. 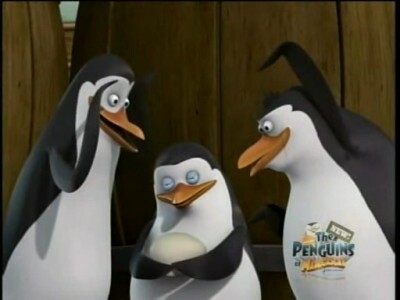 Skipper even tries to distract the penguins, as in dancing, trying to attract them. 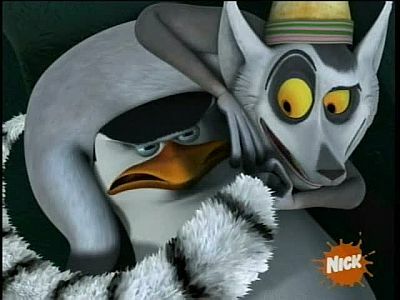 At the zoo during night, King Julien's boom box gets stolen. Everyone gathers up and starts to complain about their apparently stolen items. 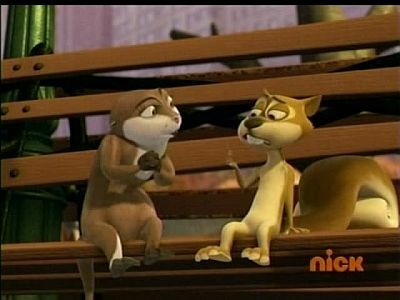 Soon, Rico talks to Private and Private tells Skipper that their television has been stolen. 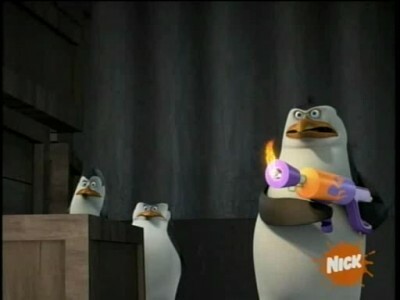 Skipper and the penguins go off to confront the masked thief. 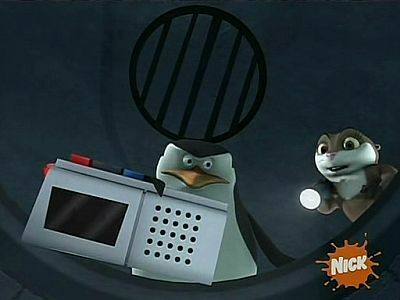 When the penguins are interrupted mid-operation by a nosy scientist, they leave the zoo in danger. 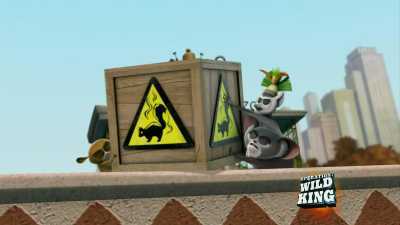 Unfortunately, the scientist has radio-tagged them, so they must rely on the lemurs to complete the mission and save the zoo. 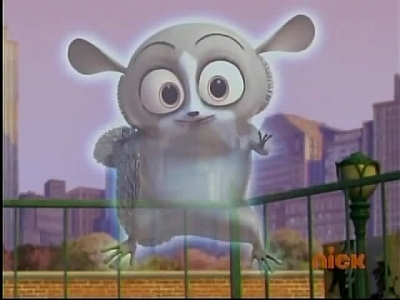 Mort quadruples in size after an accident with one of Kowalski's inventions, a super-ray designed to enhance fish. 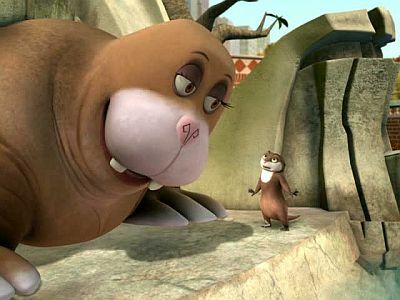 After finally realizing that Mort is super strong, Julien uses him to steal food and supplies from the other animals, like stealing an elephant's peanuts, Joey's (from Assault and Batteries) hay for Julien art work. 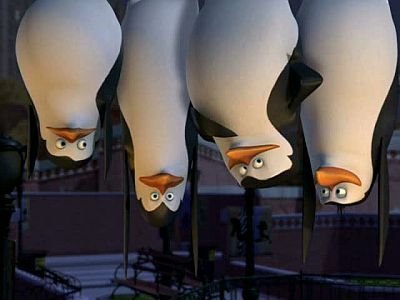 The penguins are confused when they overhear Alice saying that the zoo has three male penguins and one female. The zoo animals order Chinese food. 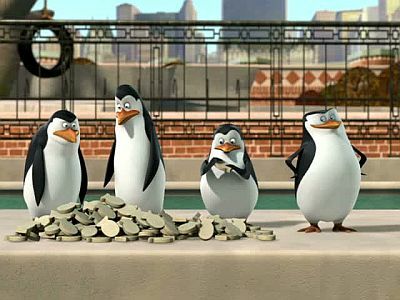 All of the penguins read their fortune cookies and are happy with the results. 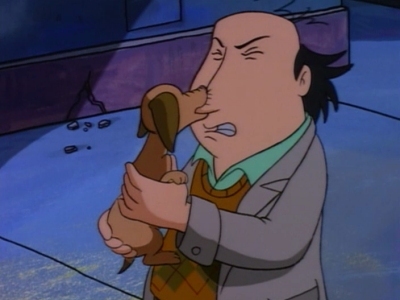 However, Rico's fortune reads "You will meet a foul end". 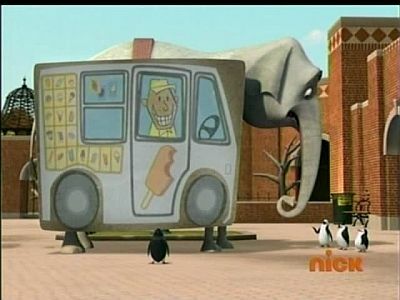 While Rico and the penguins do not believe in curses, Julien tries to make them believe by tricking Rico into believing that he is cursed (makes an elephant land on Rico, sends a popcorn cart in his direction) to the point where Rico hides in a pillow fort. 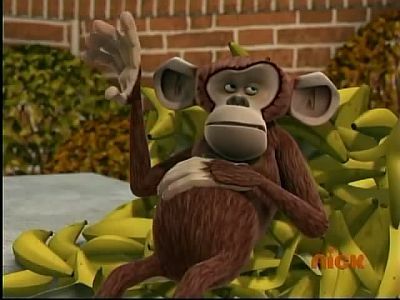 In this Episode, the animals get a liking for popcorn, until a kid is caught feeding them, and Alice the zookeeper hates the idea. When Julien refuses to turn down his radio, Skipper sneaks into his room to steal his batteries. 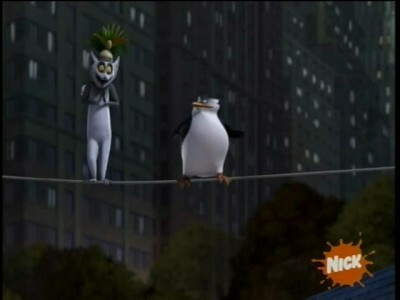 King Julien challenges the penguins to a game of Capture the Flag, but every time they play, the lemurs win, resulting in the penguins losing their posessions in every match. 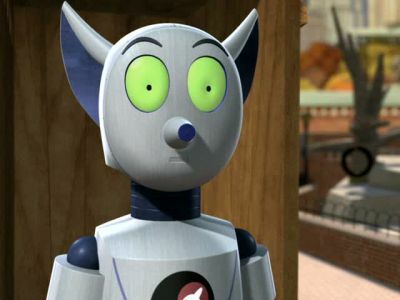 A space robot is sent to the zoo to learn from King Julien's behavior. 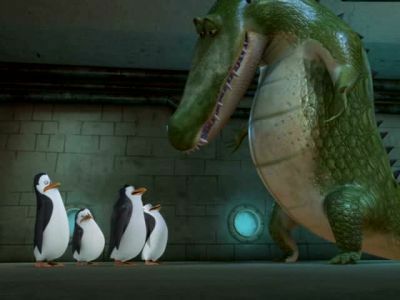 The penguins build a submarine in order to defeat a monstrous fish living in the ducks' pond. The penguins perform and display their cuteness to zoo visitors in order to prompt them to feed them with fish purchased from Alice. Julien observes this from his habitat, stating his resentment of the fish odor to the other lemurs. 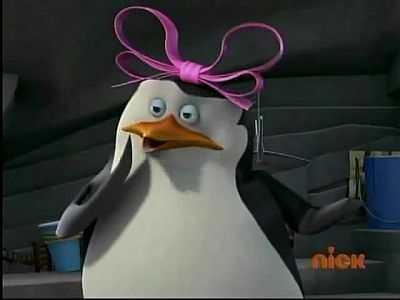 At closing time, the penguins hear a little girl crying that she has lost her doll, Private goofingly thinking Skipper was crying. Skipper quickly informs Private that is not him. 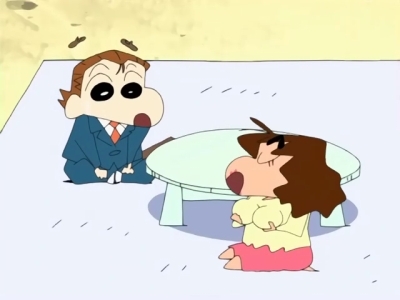 The penguins try to throw it to her, but this backfires when the doll hits the girl and bounces into the sewer, making the girl cry. 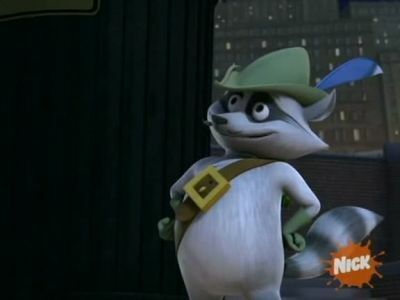 When Julien's crown falls into a sewer, Skipper sets up a mission to retrieve it. 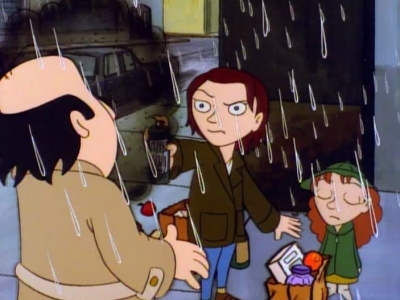 Meanwhile, Marlene tries to calm Julien down. 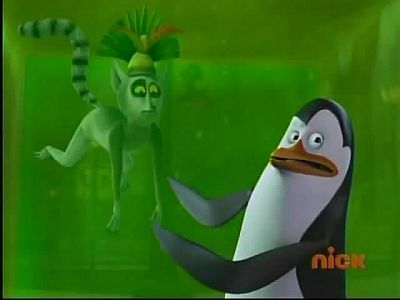 Furious with King Julien skunk bombing them the baboons steal his groove, using so called "magic" so he can't dance anymore and put it in a jar. Desperate for help Julien seeks the help of the penguins to get his groove back. 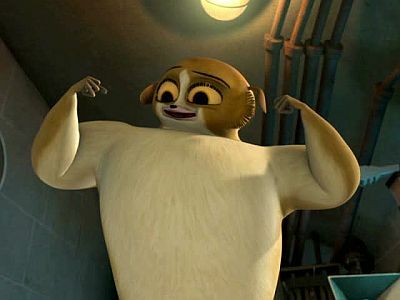 But when fighting over the jar that contains his groove it breaks and enters Skipper's body. 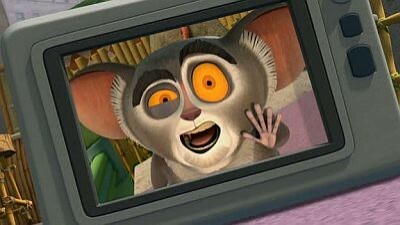 The baboons will only help if King Julien apologizes. 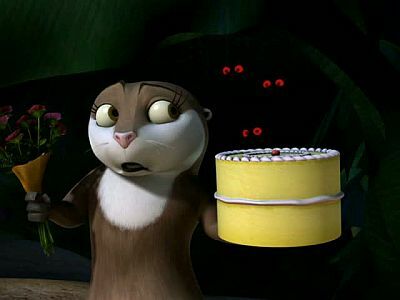 But given his stubbornness King Julien still refuses to apologize. 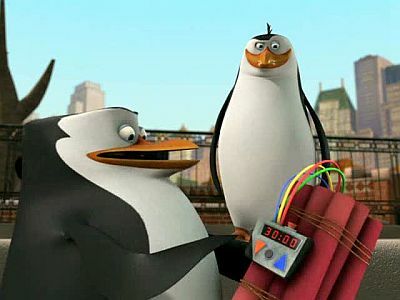 Private sees a killer whale fly over NYC, but no one believes him, more importantly, Kowalski, Rico, and Skipper think he's gone crazy because of the amount of sugar he had ingested prior to spotting it. In an attempt to prove that he's not crazy, Private heads out to find the whale he knows he saw. 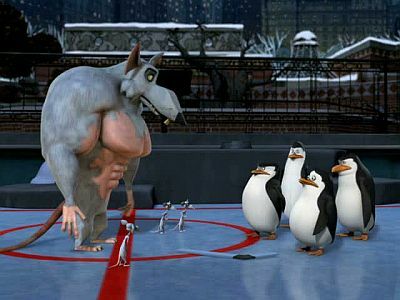 King Rat and his minions terrorize the penguin's alligator friend, Roger (debut in Haunted Habitat). 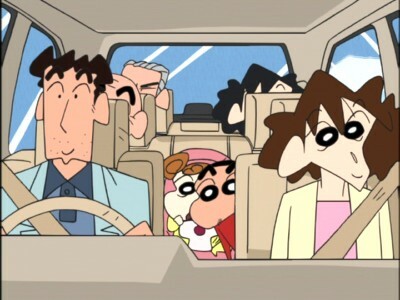 When Julien is taken to the zoo infirmary for acting even weirder than usual, Maurice is left in charge. Everything goes smoothly, until suddenly Maurice starts acting even crazier than Julien ever did. 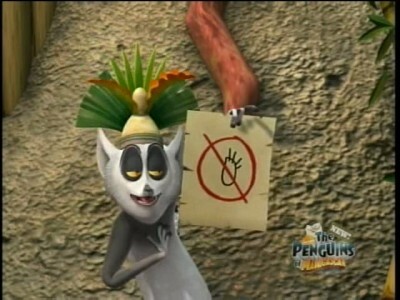 King Julien decrees a new law stating that anyone who touches his feet will be banished from his kingdom. 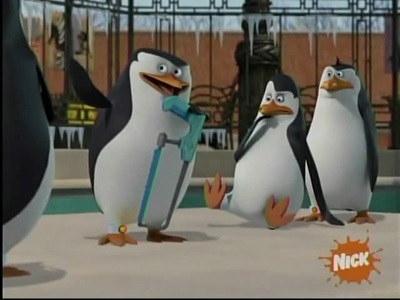 When Mort breaks this law by accident, the penguins take him in an attempt to rid him of his foot-touching obsession so he can return to the habitat. When the penguins, lemurs and Marlene go off to meet the zoo's newest exhibit, they all start disappearing one by one. 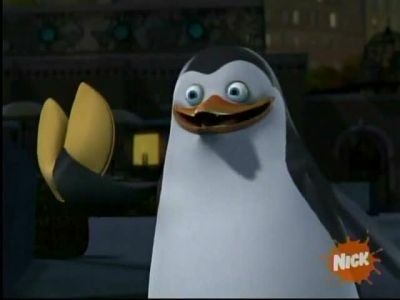 When only Kowalski is left, he must save his friends by learning to act on instinct instead of intellect. 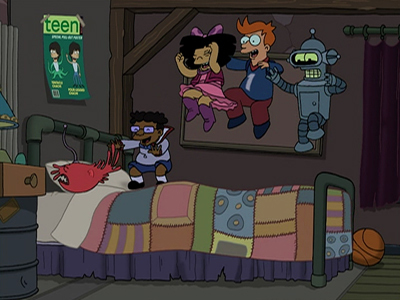 Everyone is sick of Fry living at Planet Express, so he is forced to move out to become Bender's roommate. 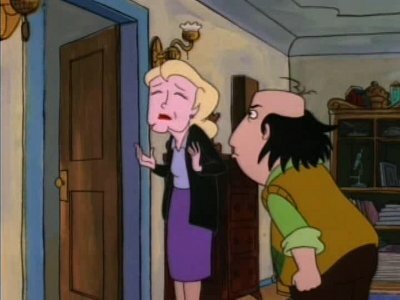 The only catch is that Bender's apartment is too small for the two of them. After some searching they find a great apartment. A problem arises when Bender's antenna interferes with the TV reception. 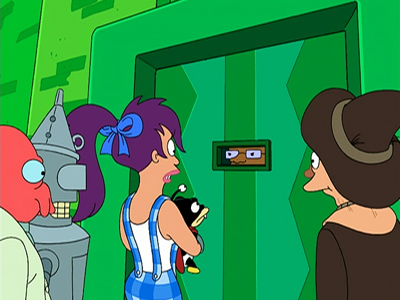 Bender decides to cut off his antenna so that he can live with Fry again. 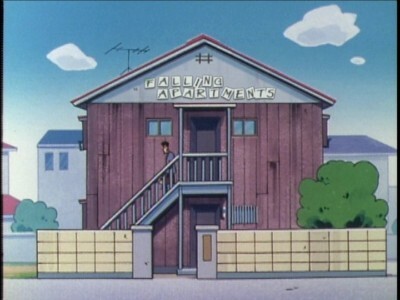 However he doesn't feel right without it, so he decides to leave and go back to his old apartment where he feels lonely. Leela convinces Fry to going back to the "small" apartment. Kowalski accidentally creates a living blob of jelly. 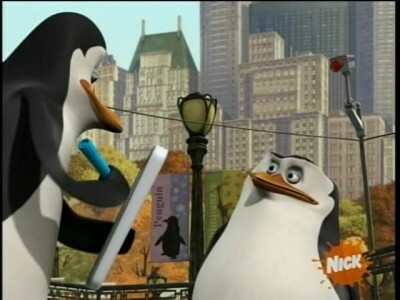 The penguins are determined to set Marlene up on a date. The penguins' habitat freezes, so they decide to play a hockey game against each other. 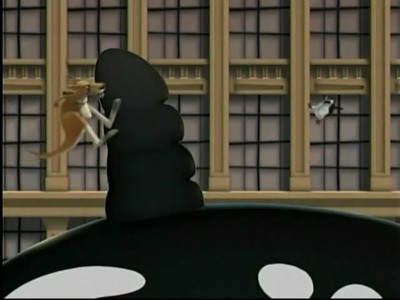 They are then challenged by a group of rats (the same rats featured in the Crown Fools episode) to play against them, since the rats cannot go back into their sewer home because the pipes burst. 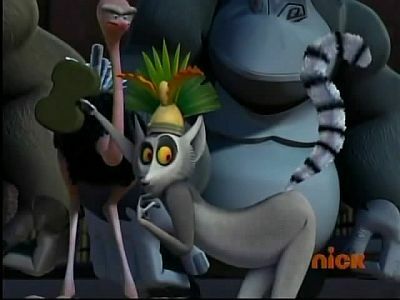 Julien banishes Maurice and Mort to a tiny corner of the lemur habitat. 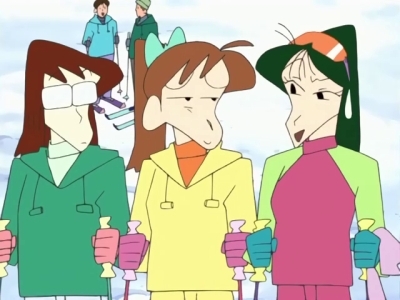 Marlene gets a new roommate named Rhonda, a walrus who is sloppy and has bad manners. 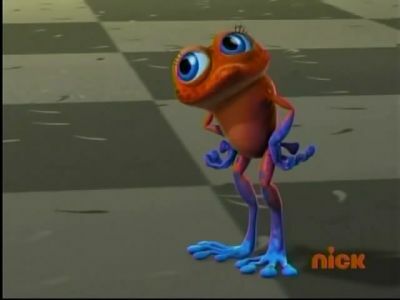 Before her roommate arrives, she dances with Skipper and is very excited, but Skipper is paranoid that Marlene's roommate may be a spy, possibly with the intent of stealing Kowalski's newest invention, a device whose function is not yet known. Marlene assigns the penguins egg-watching duty, prompting a jealous Julien to try to steal the egg. 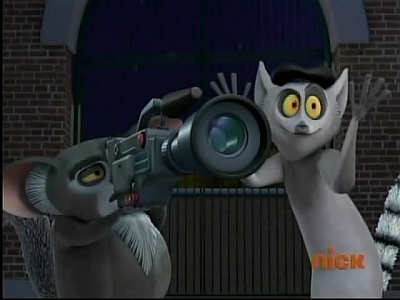 When a camera accidentally takes a picture of one of the lemurs at the zoo, King Julien thinks that he's trapped inside of the camera. 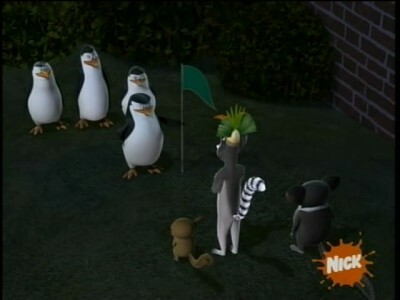 Using their detective skills, Skipper and the gang search for the lemur before the start of the next zoo tour. 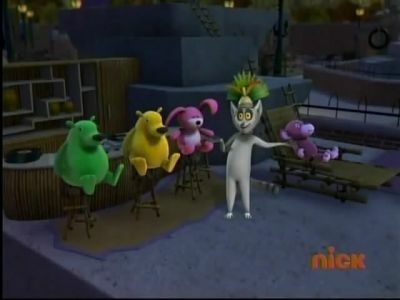 When toy dolls are made to look like Mort at the zoo, Julien gets jealous and has them taken back. Unfortunately, this causes the actual Mort to be shipped back with the toys. When a beautiful falcon crash lands in the zoo, Skipper insists that she stays to recuperate. But once she tries to eat Marlene behind their backs, Skipper and the others try to put her to a stop. A tiny tree frog moves in and takes over the zoo. Marlene, the new zoo otter, meets the penguins for the first time after being startled by a loud noise. 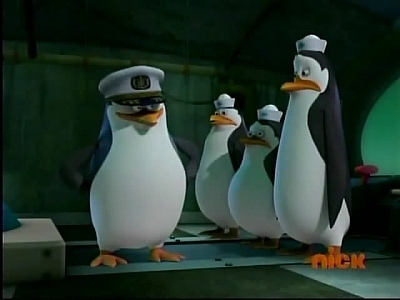 Going underground in the sewers, Skipper leads the charge to find the source of the noise. The animals try to make a commercial to make the zoo popular. Web-cams are positioned around the zoo in an internet popularity contest. The penguins despise this new motion and rebel, until Private makes a misstep and becomes the star animal of the zoo. 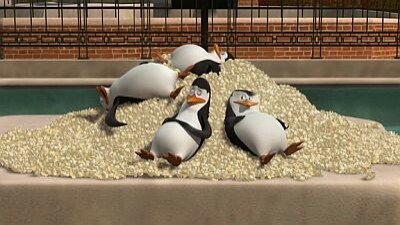 The penguins use one of Kowalski’s inventions to become ignorant of pain, to remove a hornet nest from the zoo. 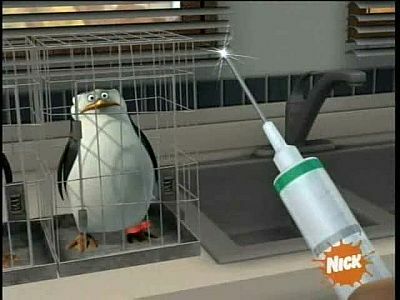 Rico the Penguin is known for being helpful for coughing up random items, but today a zoo keeper gives him de-regurgitating medicine, normally this wouldn't be a problem, except that Rico has a time bomb in his stomach. Burt the elephant enlists the help of the penguins to escape the zoo. A female chimp named Lulu arrives at the zoo for a short stay, and Phil is smitten. Unfortunately, Lulu falls for Mason, and the penguins must step in to help Phil win her heart. 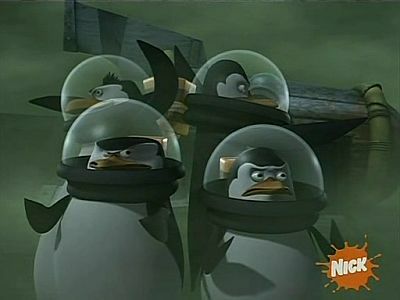 The penguins build a rocket to head to the moon after being annoyed by the lemurs. 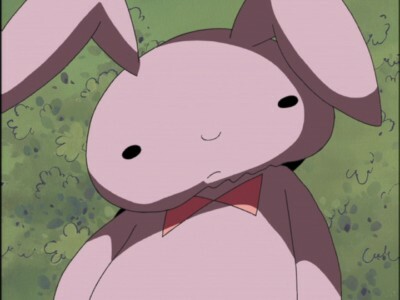 Once they land on the moon, they are greeted by a "moon cat". Mason and Phil are fed up with the lemurs annoying them. They find out a solar eclipse is coming and tricked Julien by telling him the "sky spirits" are angry at him just as the moon covers the sun. 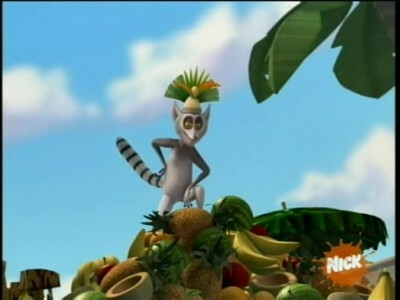 A festive "King Julien Day" is held in Juliens honor. Unfortunately, no one will come unless Maurice bribes them with candy. 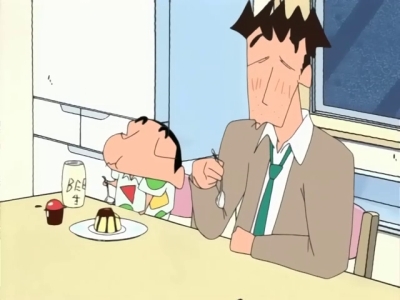 And as much as Skipper doesn't want to join in the party, he can't seem to avoid it. Max the cat is on the run from evil animal control Officer X, and he comes to the penguins for help. With the zoo on lock-down, the penguins decide to give Max a makeover and hide him in plain sight. 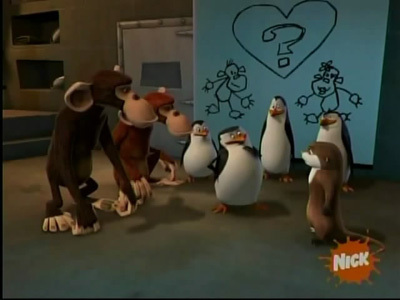 Private invites Mason the chimp to stay with the penguins when he and Phil are having trouble getting along. #57 - Double Fried Flavor! 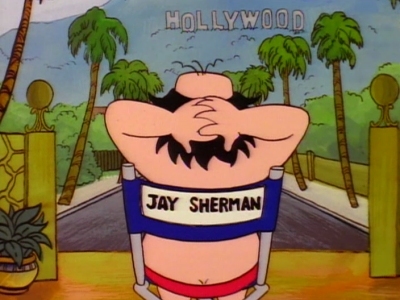 Private is upset when Mort is chosen to be the cover animal for the zoo brochure.